Don't be afraid. I do not want to create panic around Strobelallee, but it seems that Borussia Dortmund continue where they left off last season: Ongoing injury worries affect the daily work and hint at a bumpy BVB autumn. With seven games in four weeks ahead, the newly injury of key player Marco Reus is truely a major blow. And that is not mentioning the setback of Jakub Blaszcykowski, he suffered this week on his way back. The question is: How will homecomer Shinji Kagawa deal with being under pressure from the start and can he make forget the missing of Reus? A new week and the bad news will not stop, as if the injury of Reus was not enough, Jakub Blaszczykowski announced that his comeback from a cruciate rupture has to be postponed another four weeks. due to a torn muscle fiber. In the tried and tested way the Polish international will accompany long-term casualties Reus, Kirch, Sahin and Ji. The comebacks of Dong-Wong Ji, Mats Hummels and Ilkay Gündogan, who still has training deficit after his long injury break, are at least to be expected in the next few weeks. Especially in midfield is where the shoe pinches, due to the fact that the only available players are Großkreutz, Mkhitaryan, Jojic, Kagawa, Aubameyang, Kehl, Bender and Ginter. No need to say that especially Kehl and Bender are injury-prone players. Another exception is the return of Gabunese international Pierre-Emerick Aubameyang who returns from the South of Africa on Friday noon. His team drew against Lesotho (1-1). Because of the minor preparation time, a place in the starting XI seems to be quite unlikely. You probably ask yourself 'when will this guy stop punishing me with all these bad news?' It's now. A small relief was the message that new signing Ciro Immobile was able to participate in team training on Thursday, and no longer suffered from a bruise he came down with after the match in Norway. On yesterday's media conference it was easy to see, that Jürgen Klopp had small difficulties with dissembling the continous bad news. He clarified, that the international fixtures hinder the daily routine. Last week only six players were able to train in Dortmund. "It would be much better to work together for 14 days in a row, football would benefit from it. But no one is interested in the bad circumstances," Klopp told. A clear and understandable critique of the high number of competitive fixtures, that seem to have increased during the last years. How much time will Shinji Kagawa need? Of course we do not get around this topic: Shinji Kagawa. The Japanese international arouse palpable enthusiasm when he returned from a rather disappointing time in Manchester. 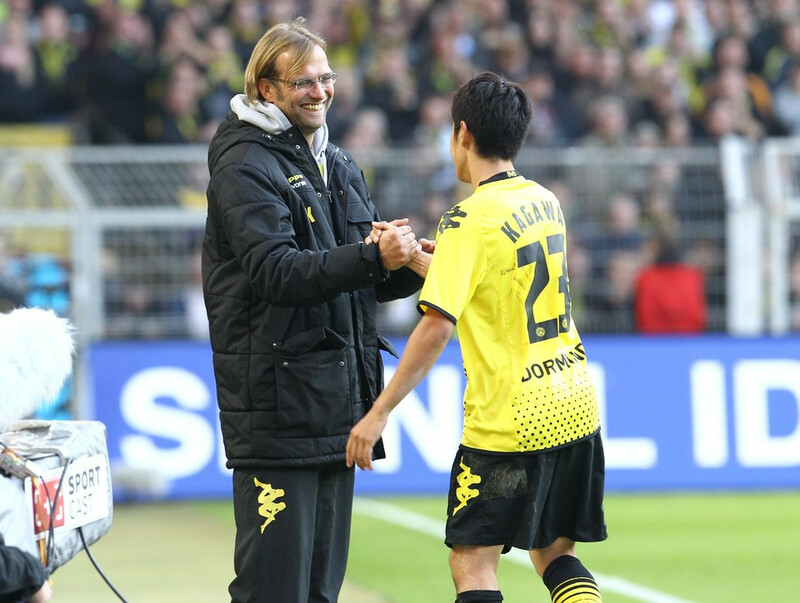 Besides the public pressure, it seems that the BVB officials wrap the midfielder up in cotton wool: “We set Shinji an example of normality and want to make him feel comfortable,” Klopp said yesterday. “He has improved his English and hasn't forgotten his few German words. I'm really excited to have him back around us,” the coach told. This is why it is not hardly surprising that a similar cautious statement can be found in an interview with sporting director Michael Zorc, he gave "Die Welt" on Thursday. "Shinji needs time," Zorc appeased. "We need to give him time. Of course the expectations are high in Dortmund, but they are elsewhere, too. I think that Shinji can deal with being under pressure, but it's to much to expect him to lead our attacking play bis his own. We've another players who can also stand out." he said. Still it is likely to happen that Shinji Kagawa will return to the pitch of Westfalenstadion on Saturday, at least as a substitute. Nevertheless, the enormous worries of the Black and Yellow offensive make a reserved treatment nearly impossible. "We've made all our decisions out of the current situations. We've loaned out Jonas Hofmann before 'Kuba' and Reus were injured. There were certainly better times for these injuries." the coach told. "Shinji's role has changed a lot through them, he is needed now. I've a good feeling about the atmosphere on Saturday, it will surely help him when the people express their happiness for his return. He will get some match practice with certainty." The chant "Kaaaagaaawaaa Shinjiiiii" is going to return. That IS for sure. Clashes with the "Sportclub" from Freiburg are always a kind of strange. Prior to the match one has to admit, that Freiburg are a really disciplined side, since Christian Streich works as their manager. Nevertheless, statistics tell another story: Since their return to Bundesliga in 2009, Freiburg could only win one match out of 10 against Borussia Dortmund, but statistics have not won a match yet. "I only can one thing about Freiburg: They are really good. Their plan works out well and no one should aspire that they are going to be cannon fodder," Klopp insisted. "This is going to be really hard work!". 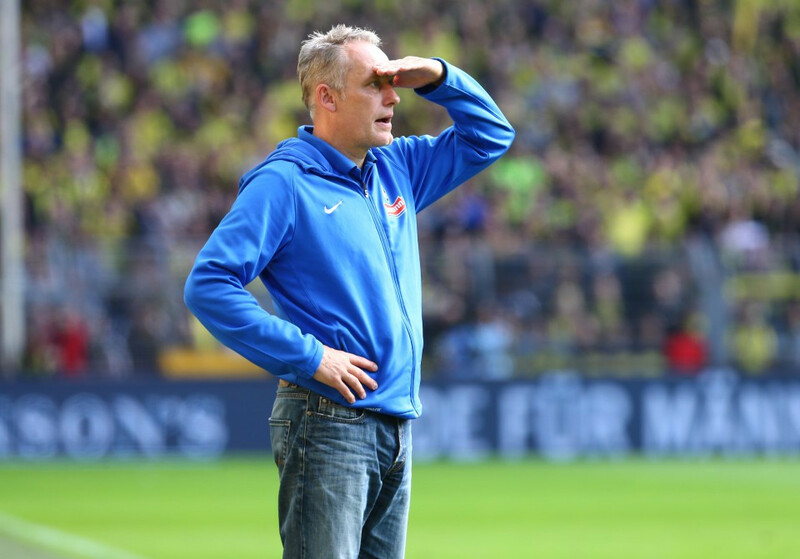 Hard work is what Streich prepared his players for, too. "First of all we have to behave intelligent in duels and always keep a defensive coverage. We have to balance out how early we want to attack Dortmund," Streich explained on Thursday. "We've to minimize risks but also want to offer a variable style of play. We will look ot for ways to make them have a rough ride," he said. One player that hopefully adjusts to Borussia Dortmund is Ciro Immobile, who scored for Italy on Sunday. "I think it will help him," Klopp told. "The problem is: The rapidity in which development shall take place in football business. We only trained a few weeks together and Ciro is new in Germany. We need time to integrate him and to develop our own style of play," the coach said. Then Jürgen Klopp became more general: "We are far apart from perfection. We need to stabilize our own style of play and simultaneously integrate the new arrivals. This is no children's birthday party," he told. "But there are much more tragic things in the world. We'll get through this," he finished. Time will tell. Let's start tomorrow. Borussia Dortmund: Weidenfeller - Piszczek, Sokratis, Subotic (Ginter), Durm - Kehl (Bender), Jojic - Großkreutz, Kagawa, Mkhitaryan - Ramos (Immobile). Substitution's Bench: Langerak, Ginter, Schmelzer, Bender, Aubameyang, Immobile, Gyau (Maruoka). Missing: Gündogan, Hummels, Blaszczykowski, Ji, Kirch, Reus. SC Freiburg: Bürki - Sorg, Kremas, Kempf, C. Günter - Schuster, Darida - Schmid, Klaus - Schahin, Mehmedi. Substitution's Bench: Mielitz, Höhn, Mitrovic, Mujdza, Torrejon, Frantz, Höfler, Kerk, Philipp, Stanko, Freis, Zulechner. Missing: Batz, Jullien, Perger, Riether, Guedé. Kickoff: 13th of September 2014, 3.30. P.M. CET. Attendance: Westfalenstadion Dortmund, 80,700 (sold-out).